Baton Rouge, LA – October 30, 2014 – Lamar Advertising Company (Nasdaq: LAMR) today announced that Sean Reilly, CEO of Lamar Advertising Company, is scheduled to participate in a question-and-answer session at the Wells Fargo Securities Tech, Media & Telecom Conference in New York City on Wednesday, November 12, 2014 at approximately 9:20 a.m. (ET). Oral Roberts University is taking an innovative approach to engage prospective students through a new photo-interactive digital billboard campaign. The campaign, which promotes the university’s bi-annual College Weekend, is placing the spotlight on high school students across the globe. 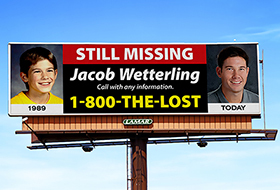 Minnesota authorities unveiled a new billboard campaign as part of their ongoing efforts to find Jacob Wetterling, a boy who was abducted near his St. Joseph, Minnesota, home 25 years ago. 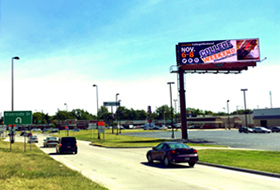 Lamar Advertising Company donated billboard space around the St. Cloud area to help law enforcement in the continuing search for Jacob.